Massachusetts may be difficult to spell, but it is not difficult to find some great options for the ultimate guys weekend or a fantastic mancation. Few states have as rich of a mixture of terrains and opportunities packed into such a small place. For instance, imagine starting in Boston with a pub crawl, followed by a bike tour through gorgeous countryside, kite surfing on the cape and then wrap it all up with a deep see fishing expedition, and a historic reenactment! Just don't forget a classic New England-style clam bake for dinner! Having cruised a few times in the Caribbean we wanted to do something new. A tour of New England and Maritime Canada, seemed like a great idea to explore a different area and show my wife some of the places I visited when I was younger. We had fun, the Carnival Glory is a great ship, but we learned a couple important things that will help guide us on future cruises 1) Sometimes the first trip on an itinerary is a bit rough 2) the "total cost" of a Caribbean cruise can be MUCH CHEAPER than other destinations 3) Sometimes you just need to be able to make your own fun when mother nature doesn't cooperate. 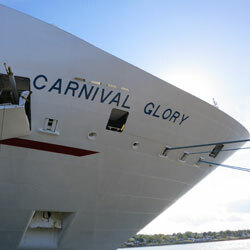 Next year (2013), Carnival is set to bring the Glory back to Boston, but with Funship 2.0 Upgrades, and hopefully our cruise helped both Carnival and the various ports iron out any kinks that we experienced. In June, Man Tripping will be sailing on Carnival Glory to check out this fantastic sounding itinerary. From whale watching, to deep sea fishing, and don't forget brewery tours, this itinerary is shaping up to be a fantastic mancation cruise! 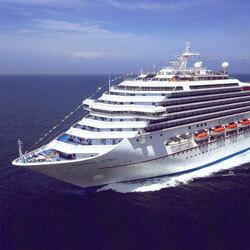 Now, in 2013 it will return to Boston with the full Fun Ship 2.0 upgrades it will be even better! The Red Sox aren't the only game in town - Massachusetts (a relatively small state) actually is host to four minor league teams. For baseball fans, this might be just the excuse you are looking for to head over to the Bay State and spend a week going from one team to the next. Plus there are loads of other wicked fun stuff to do while visiting, including visiting microbreweries, biking, fishing charters, and certainly you should grab a lobster dinner and sip some steaming hot New England clam chowder too! The Boston Intercontinental now has an awesome mancation package, humbly titled the "Ultimate Boston Man Vacation". The package starts at $749, but it truely is an awesome package! Starting with of course, one of the finest hotels in Boston, the package also includes deluxe accomodations for two, a "Power Breakfast" in Miel "Brasserie Provencale", a 30-min shave from "The Art of Shaving", a man-specific facial or massage at the SPA InterContinental, and a choice of one of their three fantastic excoursions - fishing, golfing, or sailing. For more information, visit their mancation package page.